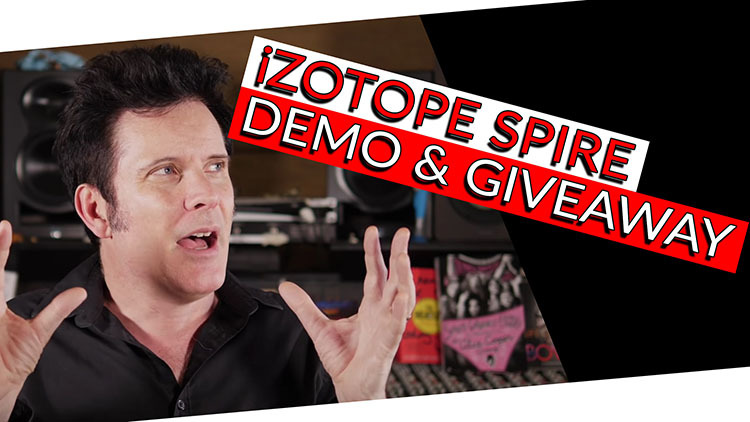 Today we’re going to do a little demo of the iZOTOPE Spire! This is aimed specifically at people who want to record quickly and easily and don’t have a huge knowledge of recording, so what we have decided to do is find an artist. To demo the Spire, we brought in an artist named Laura Padaratz! She is 18 years old and hasn’t really recorded much at all. – I think this is the perfect demonstration of this device. What we loved about this idea is who it’s directed at, iZOTOPE is an amazing plugin manufacturer, they have put a lot of DSP work into the Spire. What they have done is combine basic hardware ideas with really really smart software. If you want to use it to record a demo, you can just throw it down and record. – You don’t even need a microphone. Laura will put down a vocal and an acoustic part – And whatever else she wants to do! She’s the Artist! Let’s see how easy it is for her to use the Spire as an artist recording her own song “Up Side Down” – then we will do a little mix.